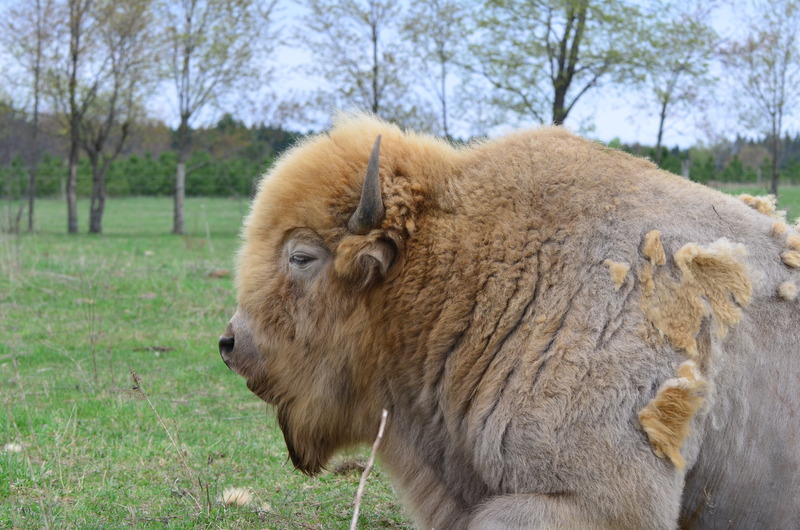 White Bison Farm – Dedicated to providing the best in Quality, Conformation, and Personality in All of our Animals! Pasture Raised on Green Grass! Home to American Bison, Gypsy Vanner Horses, Idaho Pasture Pigs, Kunekune Pigs, Free-Range Chickens, and Rabbits! We have had some technical issues with our Contact Me Now page for the past 6 weeks and have been unable to receive messages. We believe it has been fixed now, but if you have sent a message or if you send a message now and do not hear back from us PLEASE either give us a call or copy and past our email address to a new email and contact us again. We apologize for any inconvenience this may have caused are sincerely sorry! Welcome to White Bison Farm where we specialize in raising unique, quality, and well-loved animals. We started raising American Bison in 2004 and have enjoyed them every day since. There is nothing quite as tranquil as looking out and seeing a beautiful herd of bison roaming past your window. Lightning is our white bull and he blesses our herd with some white babies each year! To add to our already unique farm we decided to start raising KuneKune Pigs in 2007. 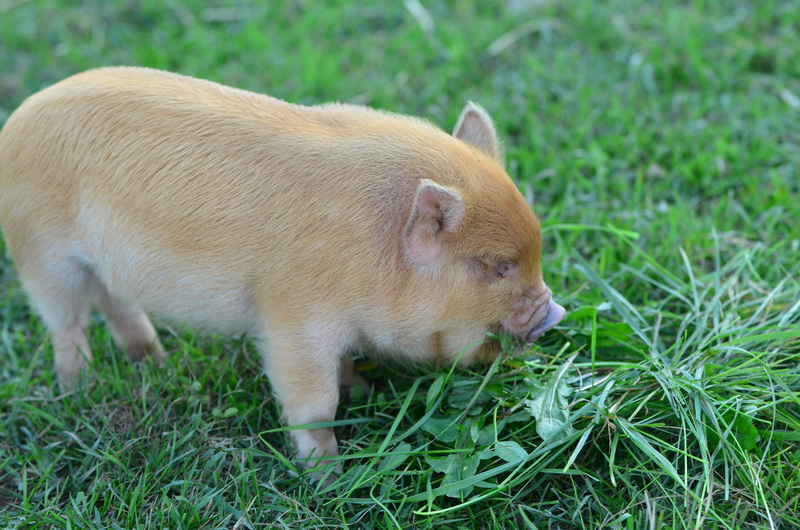 Kunekune’s are a fairly new breed of pig to the U.S. All of our Kunekune’s are registered. They are known for their friendly and relaxed attitudes. They crave attention and will lay for hours to have their backs scratched. These loveable and extremely friendly pigs continue to amaze everyone who come to visit! 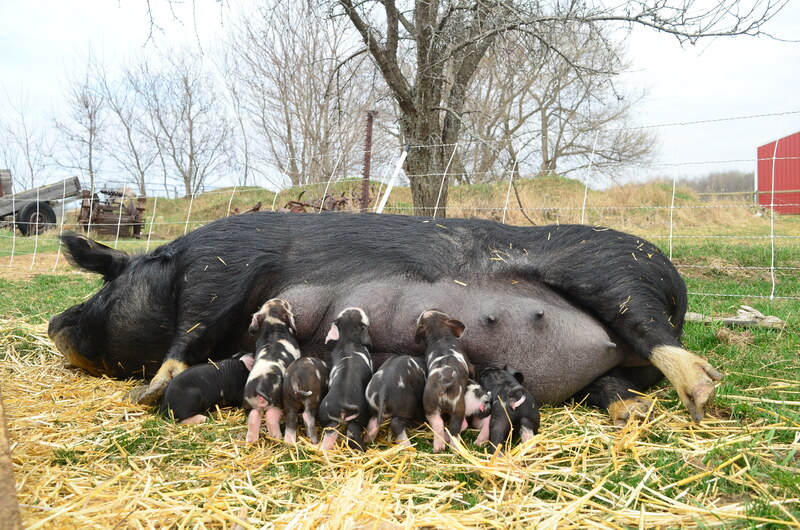 In 2012 we added Idaho Pasture Pigs to our group of eclectic animals. They are a very gentle and good natured butcher pig that resembles the Kunekune in personality, but mature at a much faster rate. We are happy to have such a wonderful, gentle collection of animals on our property!!! We are happy to announce we have gotten the registry going for these amazing pigs and ALL of our breeding quality Idaho Pasture pigs are registered! 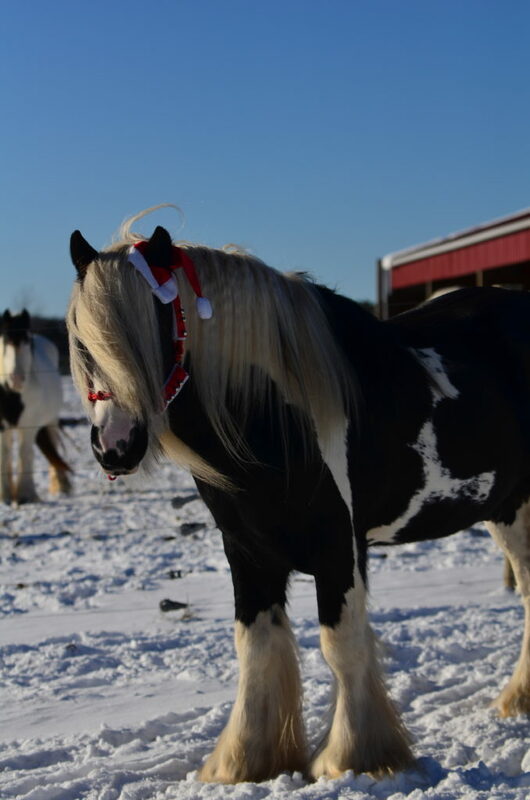 After over 20 years of owning and working with horses, primarily the American Paint horse and Quarter horses, the Gypsy Vanner Horse breed took us completely by surprise. The Gypsy people have bred these horses for years trying to obtain horses with gentle, loving personalities that their children could ride and handle with ease. Along with their calm, relaxed demeanor they have been bred to pull wagons, carry riders, and be companions. A perfect conformation is essential for the Gypsy people and White Bison Farm strives to duplicate their standards with all of our horses. Never have we met a more gentle, loving, and relaxed breed of horse. It only takes a heart beat to fall head over heels in love with them. All of our horses are registered with the GVHS and have been tested negative for PSSM.